ARCUEIL, FRANCE--(Marketwire - Feb 22, 2013) - Since the days of the pharaohs, the tempting taste of honey has been hard to resist -- but little has been done to protect the bees that produce it. To that end, the Courtyard Paris Arcueil is proud to announce a partnership with Un Toit Pour Les Abeilles ("A Roof Above The Honeybees Head") to help safeguard the now endangered honeybee. Through Un Toit Pour Les Abeilles, this recently built hotel near Paris is sponsoring a hive where 40,000 bees live and produce honey. This hive is decorated with the Courtyard by Marriott logo and colors, as well. In gratitude, the hotel will receive 40 pots of honey which will also carry the hotel's logo. These pots will then be given to the hotel's most loyal guests at the end of the year. Listed as a Green Key Hotel for taking steps to reduce its environmental impact through conservation and waste minimization, the Courtyard continues its positive environmental efforts with this sponsorship. The Courtyard Paris Arcueil, is a stunning, next-generation hotel in Arcueil designed for the comfort of today's traveler. Offering spacious hotel rooms, modern furniture, luxurious beds, in-room air conditioning, mini-fridges, safes and broadband Internet access, the Courtyard is an ideal choice for business or leisure travel. Guests can enjoy convenient access to Paris Orly Airport and Paris Charles de Gaulle Airport by the RER B train at Laplace Station, and a direct connection to downtown Paris' world-famous shopping, attractions and museums. Unique among Arcueil hotels, the multi-functional lobby opens up to the front desk, the Market and the business center as well as Oleo Pazzo Mediterranean Bistro. For a fee, connect to Internet anywhere in our Arcueil, France hotel, and enjoy free access to the 24-hour fitness center. Conveniently located near Porte d'Orléans and Porte de Versailles, this hotel in Arcueil, France, is ideal for meetings, getaways, or family holidays. For board meetings or other events, the hotel also offers five Murphy rooms with natural daylight and state-of-the-art audiovisual equipment. When it comes to comfort, style, and environmental friendliness, a stay at the Courtyard is a sweet choice. The recently built Courtyard Paris Arcueil is an exceptional four-star hotel near Paris, France -- and is just one short train ride from downtown and Porte de Versailles. With 170 spacious rooms on six floors, the Courtyard also offers a healthy breakfast buffet or freshly prepared hot items cooked to order in the hotel lobby. For event planning, the hotel has five meeting rooms with 1,023 sq. ft. of total meeting space. Whether staying for business of pleasure, the Courtyard gives guests access to one of the greatest cities in the world and comfortable accommodations with four-star amenities, including plush beds, a 24-hour fitness center and business center. 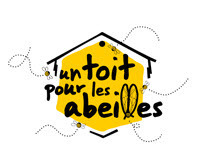 The Courtyard Paris Arcueil is proud to announce a partnership with Un Toit Pour Les Abeilles ('A Roof Above The Honeybees Head') to help safeguard the now endangered honeybee. Find great deals for your next trip to Arcueil. Take our photo tour and learn more about our hotel.